We are on the edge at my house. A very delicate, confusing, frustrating edge. You see, I have a nine year old. And not just any nine year old, but one of the female kind. Totally agree, Hollie. It’s amazing to see kids of this gen growing up so fast. I feel it’s a lot due to the exposure they have from an early age to technology and media. They get to know so much so soon and it’s hard for them to digest and analyze. We have a 7 going on 17 in our house! 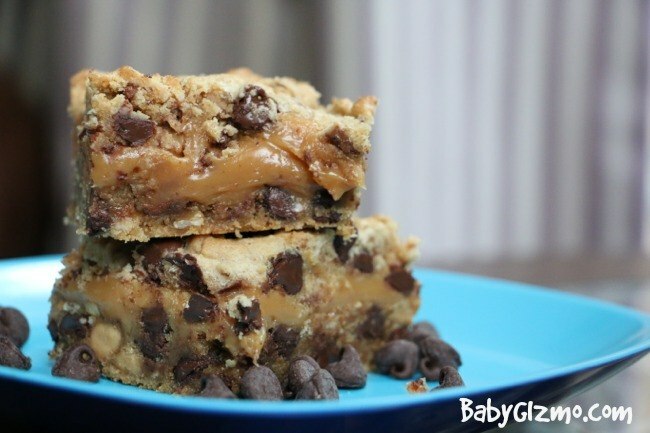 This is so much gooey awesomeness that combines peanut butter, oatmeal, caramel and chocolate that I think you should make today!